BELLAIRE, Mich. -- Shanty Creek Resorts is not the newest golf and ski property among the many in northern Michigan. But these days, it sure feels that way. 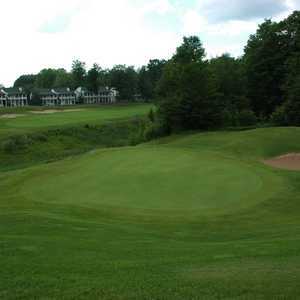 Schuss Mountain Golf Course is one of four courses at Shanty Creek Resorts in northern Michigan. The resort dates back to the 1960s, but new ownership in 2006 and millions of dollars invested into the property has it shining bright as ever among northern Michigan's golf and ski resort scene. As one of the area's top ski resorts, you're in for some spectacular up-and-down golf holes and long views from elevated tees during the summer months. The bulk of the investment capital was put into the Summit Hotel & Conference Center and spa, which sits on the ski hill high above Lake Bellaire and is a focal point of the resort in both summer and winter. The Lakeview Restaurant & Lounge overlooks it all and makes for one of the area's best 19th hole views with the combination of sunset views and a draft Oberon beer in hand. The resort's diversity of four golf courses -- from classic designs to modern championship courses by nationally recognized design names -- means there is a golf course for every skill and wallet within the three villages and 600 rooms that make up Shanty Creek Resorts. 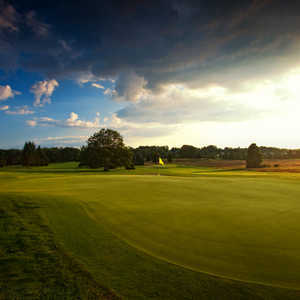 The golf courses will also suit any game. Cedar River Golf Course is the newest of the three villages at Shanty Creek, conceived in 1997 and home to an all-suite lodge. With ski-in, ski-out access in the winter you can also walk onto the first tee or driving range at Cedar River, which is the best of the four courses at the resort. The first of two Tom Weiskopf designs in northern Michigan (the other being Forest Dunes Golf & Country Club in Roscommon), Cedar River is a real joy to play and is a little more fair for the first-time player than The Legend, which has some more severe doglegs and elevations. Cedar River fits a little more naturally on terrain, and most holes are a little straighter, meaning most golfers will be able to swing a little more freely. There is also a mix of longer and shorter holes, risk-reward plays, and Weiskopf always delivers a fantastic short par 4 -- such is the case at the 297-yard 13th. After golf, Cedar River's lodge has 72 suites on site, as well as its own dining options if you don't want to head up to the Summit. Steps from Summit Village, The Legend Golf Course is home to one of the more player friendly, spectacular opening holes in northern Michigan. This par 5 plays less than 500 yards and is steeply downhill the whole way, so good drives leave little left on the second shot. It's a fitting introduction to one of the area's more tumbling golf courses, where no two holes are similar. The course was designed by Arnold Palmer and opened in 1985, right when northern Michigan was entering a new era of high-end resort construction. It's held its own well, thanks to a collection of dramatic holes with long views and both uphill and downhill holes through forest, as well as some sharp doglegs. Inspired by European ski villages, Schuss Village opened in 1968 a few miles from the Summit, and Schuss Mountain Golf Course was added in 1972. Originally designed by Warner Bowen and revamped by William Newcomb, the course now stretches to over 6,900 yards and winds up and down hilly, forested landscape, and plays a little tighter with smaller greens than it's two newer neighbors at Shanty Creek. The original course at Shanty Creek, the Summit Golf Course opened in 1965 just a few steps from the main lodge. The course is set on rolling land with small greens and elevated tees. The course plays just 6,250 yards in a traditional parkland setting, compared to the more heavily wooded courses, and has a forward tee yardage of just 4,679 yards, ideal for higher handicaps and is also the most affordable of the four courses.